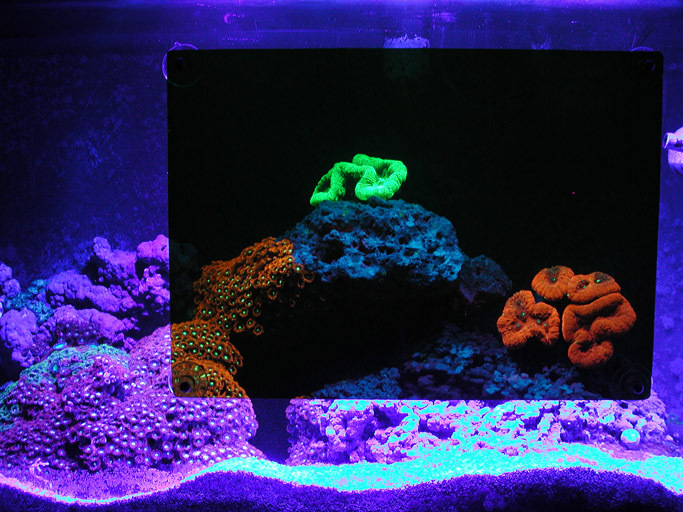 You need the barrier filter to block reflected excitation light and transmit only the fluorescence. 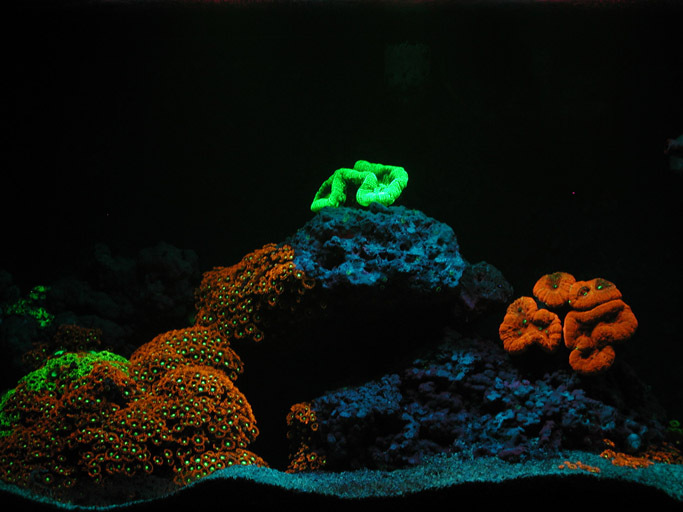 Without a barrier filter you can see fluorescence from very brightly fluorescing subjects, but you would miss many, many others because the reflected excitation light can completely overwhelm the fluorescence. For best results the spectral properties of the barrier filter should be closely matched to the spectral properties of the excitation light source. If the barrier filter transmits some of the light coming from the source, that light will show up in the photograph. 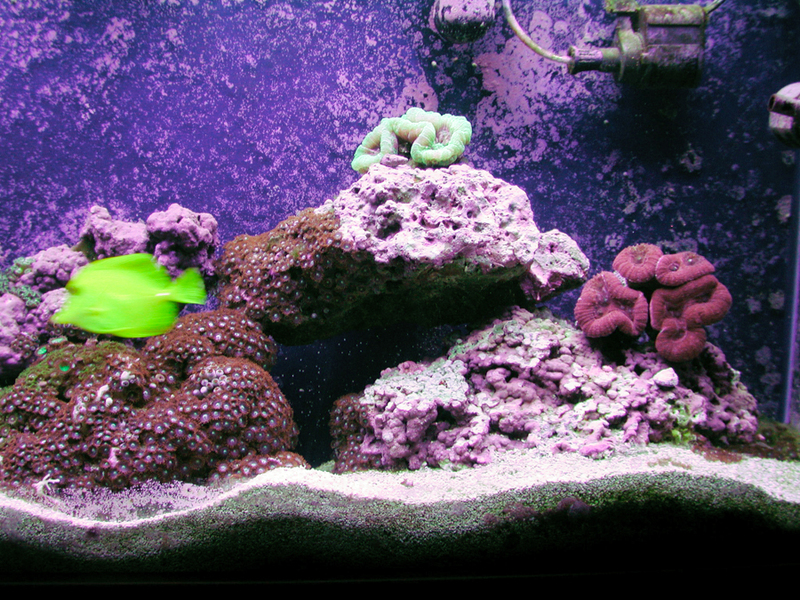 If the barrier filter is too deeply colored it will block all of the excitation, but it will also block some of the fluorescence. If the matching is done right you will be able to see as much fluorescence as possible, with strong contrast and little to no interference from the excitation source. 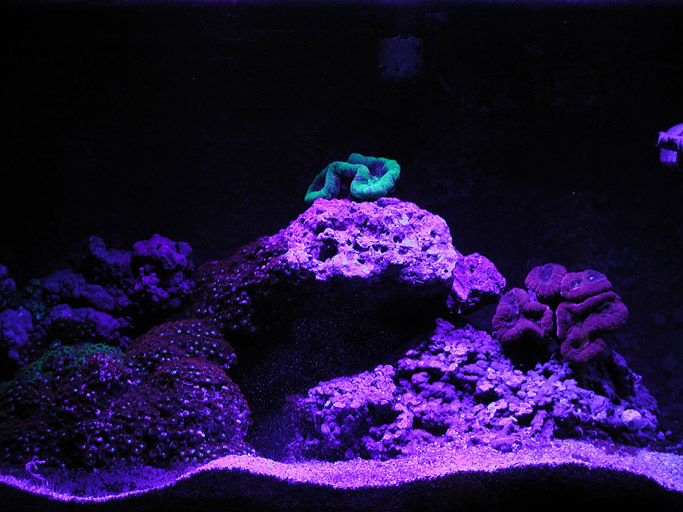 NIGHTSEA takes great care to ensure that its light sources and filters are well matched. You position the barrier filter in front of the viewing device, whether that is your eye or any kind of camera – film, digital, or video. Home aquarium illuminated with white light. Home aquarium illuminated with blue light. 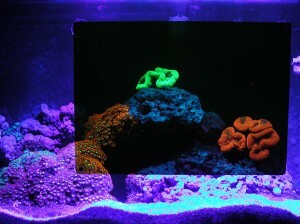 Blue light illumination, barrier filter over one area of the glass. Blue light illumination, full scene through barrier filter.